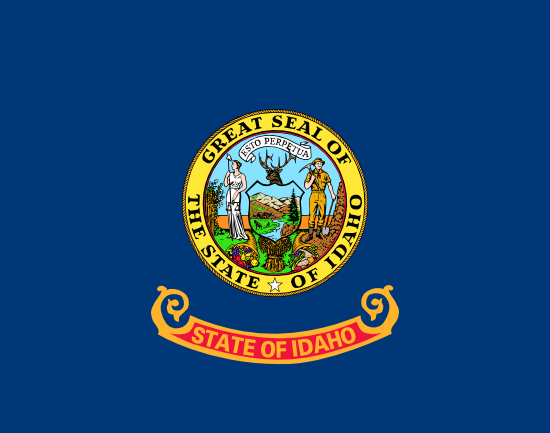 This page is focused on wrongful termination settlements in Idaho. It’s rare for great cases to go to court, because they generally reach settlement out of the courtroom. However, if they don’t settle, there will be a trial, where only one party will win. The majority of these lawsuits incorporate mixed verdicts, implying that they involved one particular, or possibly several claims of unlawful firing attributable to disability, sexual orientation, gender expression or gender identity discrimination, firing in violation of public policy, constructive discharge, race, color, national origin, religion discrimination, age discrimination, workplace retaliation or gender discrimination. The data directly below provides a snapshot of the different types of cases filed together with their particular numbers in the state of ID in 2017. The state of Idaho has a remarkably small number of discrimination cases filed to the EEOC, as you can see in the statistical table above. It is the 14th largest state by size, but only 39th by population. The low number of claims makes it rather difficult to find wrongful discharge cases with their respective settlements, here are a few that we have come across during our research. Pam Lowe was the Director of Transportation at the Idaho Transportation Board. Lowe was the first female director of the department, and worked at the ITB all her professional life. She became director after 14 years at the department. She was fired 2 years into her role as director, after she clashed with politicians over her efforts of reducing the multimillion-dollar contracts of 2 politically connected companies. The companies were big donors to the then governor’s campaign. She resisted the political pressure, but was ultimately fired. A Zimbabwe-born black woman was hired as an intern after a series of phone interviews. She was living in England at the time, which is the reason she was not interviewed in person. From the moment she arrived at the company, she was treated differently than 2 other interns who were white. She was not involved in projects like the other interns, and was not given and direction from her supervisors. She also hear racial comments. She raised these issued with management, and was soon terminated. When viewing this catalog of wrongful firing verdicts from Idaho, take into account that the large sums are the result of punitive compensation, that are handed out to discourage businesses from doing the same kind of inappropriate conduct. Punitive damages are very rare. The vast majority of court cases will settle for about $20,000 to just a few hundred thousand dollars. Our selection of unlawful firing settlements and verdicts in ID was created for informative purposes. Despite the fact that you feel resemblance to any of these cases, bear in mind that each case is unique. What is the average wrongful discharge settlement/award in Idaho? If you think that you were wrongfully terminated, it’s understandable that you might want to check approximately how much money you can expect to get for your unlawful termination lawsuit. If you come to an agreement with the employer (or win your trial), the exact amount you obtain is ordinarily based upon the following: emotional distress, job search costs, reason of termination, lost earnings, lost benefits and medical expenses. Punitive damages might also be awarded in rare situations, if the workplace behaved egregiously. As you’ll see from the example cases mentioned above, providing an average settlement for wrongful termination cases in ID is going to be tricky because every claim is unique. The average wrongful termination settlement in Idaho is between $5,000 – $100,000. Legal professionals can be helpful while brokering a larger settlement. The average courtroom awards are higher, between $110,000 to $350,000. This is certainly a good reason employers choose to come to a mutually acceptable agreement out of court. Years of litigation, bearing the legal costs and maybe losing the lawsuit in the end can certainly be costly. If you think you had been dismissed from your job for some kind of unlawful cause, here are tips on what you should do. First and foremost, you should speak to a wrongful termination law firm in Idaho to determine whether you have got a case worth going after. Ensure you have enough time to submit your claim, look into the Idaho laws of limitations regarding wrongful termination. Additionally, you’ll probably need to submit a timely claim with the EEOC’s local partner, the Idaho Human Rights Commission in Boise. Here are some best practices on filing a wrongful discharge claim.